Have you lost some of the text messages on your iPhone? Did you have a backup for them? If you didn’t, you might be hoping that iTunes backs up deleted messages and that all you have to do is to restore the iTunes backup to get them back. It would be great if iTunes did that. But is it possible? Does iTunes backup deleted text messages? 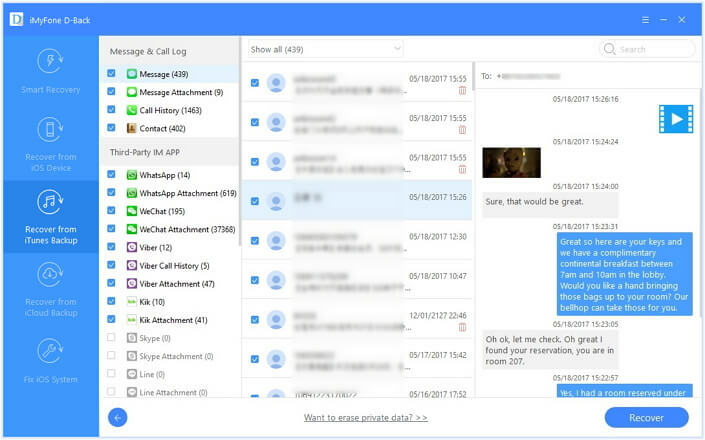 This article attempts to answer this question and provide you with a better solution for getting your text messages back. Does iTunes Backup Deleted Text Messages? Can I View Deleted Text Messages in iTunes Backup? How to View Deleted Text Messages in iTunes Backup for Free? 1. Does iTunes Backup Deleted Text Messages? There is no clear yes or no answer for this question; it depends on what you do as soon as you discover the messages have been deleted. To understand how this works, you need to understand just how the iPhone system stores data and what happens every time you hit delete to erase a piece of content or data from your device. When you delete data from your device, the iOS system will change the data from "Allocated" status to "Unallocated" status. But the data is not permanently removed from the device. It remains on the device until you add new data. When you add new data, the old "Unallocated" data might be deleted to make room for the new data on the device. So, if you stop using your device as soon as you discover some of the data on it has been deleted, and then create a backup in iTunes, iTunes will back up the deleted data. The opposite is also true. If your deleted text messages have been overwritten as a result of adding new data on to the device, then iTunes can't back them up. 2. Can I View Deleted Text Messages in iTunes Backup? If iTunes did back up your deleted text messages, there is no way to view them in iTunes. You cannot view them even if you restore the backup because your iOS device will only show the existing data, never the deleted data. But there is a way to view the deleted text messages on your iTunes backup file for free. You can use a data recovery tool. The data recovery tool we recommend you use to view deleted text messaged on iTunes is iMyFone D-Back. 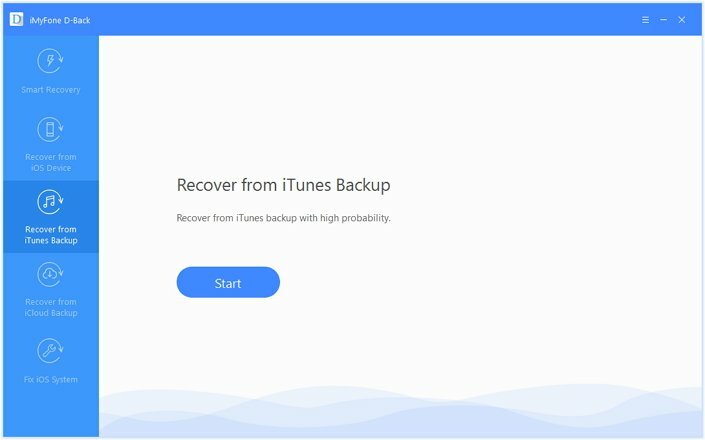 This tool can be used to not just gain access to an iTunes backup and view the text messages but can also be used to recover them if you need to. It recovers up to 22 different types of data from an iTunes backup, the iOS device or an iCloud backup. 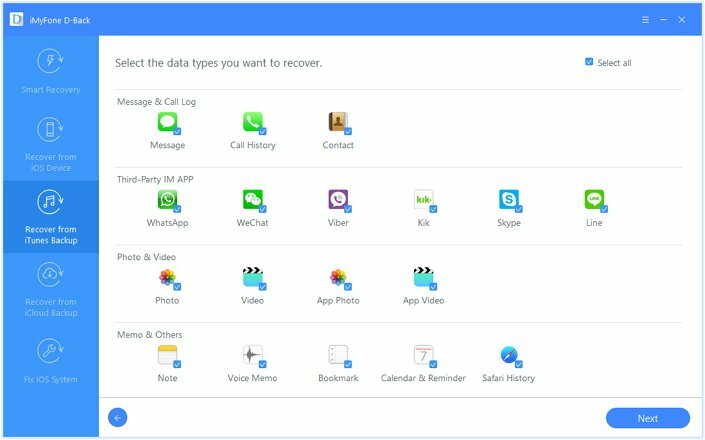 For example, you can recover WhatsApp from iPhone easily. It offers a very high probability of data recovery even if you don’t have a backup. It is very easy to use with a simple and highly navigable user interface. It is compatible with the iPhone 8 and X and iOS 11.3. Step 1: Download and install iMyFone D-Back on to your computer and then launch it. From the main window, click on "Recover from iTunes Backup" and then click "Start." Step 2: In the next window, select the type of data you would like to view. Since we want to view text messages, ensure "Message" is selected and then click "Next." Step 3: From the list of backups, select the backup that contains the data you need and then click "Scan." Step 4: When the scanning process is complete, you should see a list of all messages in that back up. You can click on any item to view the message. Notice that you don't have to pay any money to view the deleted messages unless you want to recover them to your computer. Having a backup of the text messages on your device is one way to ensure you can recover the messages in case of accidental deletion. But how can you backup your messages if you'd rather not use iTunes or iTunes will not backup some types of data. Well, there is an easier solution to backup all data on your device to your computer. Click here to learn how you can back up all data to your computer. 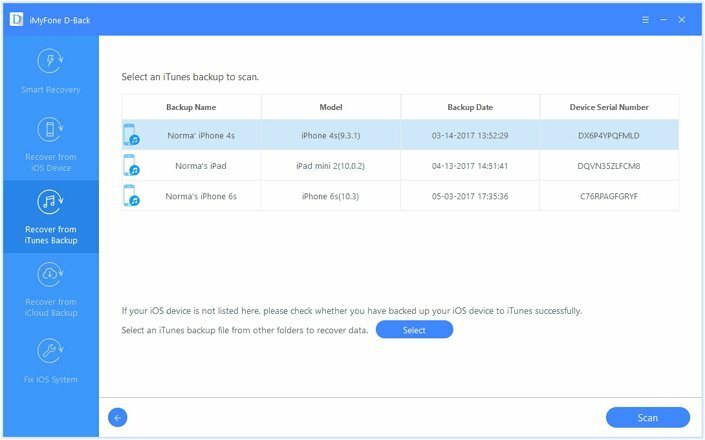 iTunes can back up your deleted messages on iPhone and iMyFone D-Back provides a great solution to view the contents of an iTunes backup whether the data has been deleted or not. Try the program to view the data you need for now!